This Flyball collar is lined with a double layer of high quality fleece for the comfort of your dogs neck and your hand. 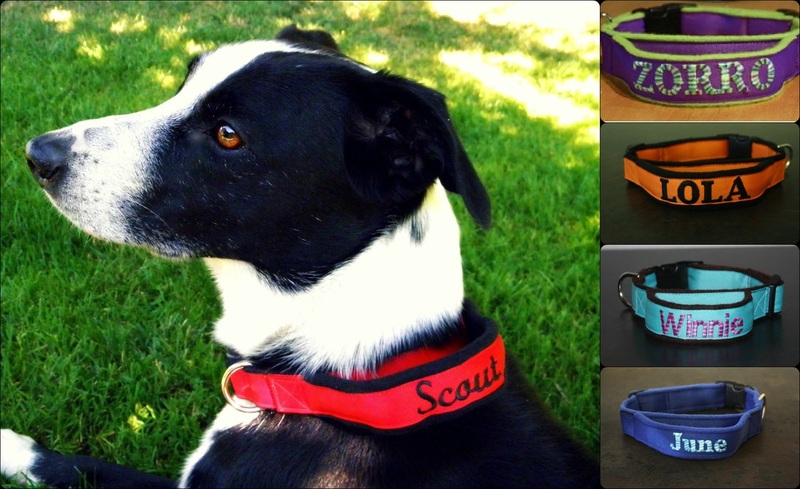 These collars are custom made in the colors of your Flyball team and can be personalized with your dogs name and/or a symbol on the handle of the collar, they are specifically designed for your dogs neck size and come with a 2 inch adjustment. These collars make it easy to hold your dog back before allowing him to run down the line.